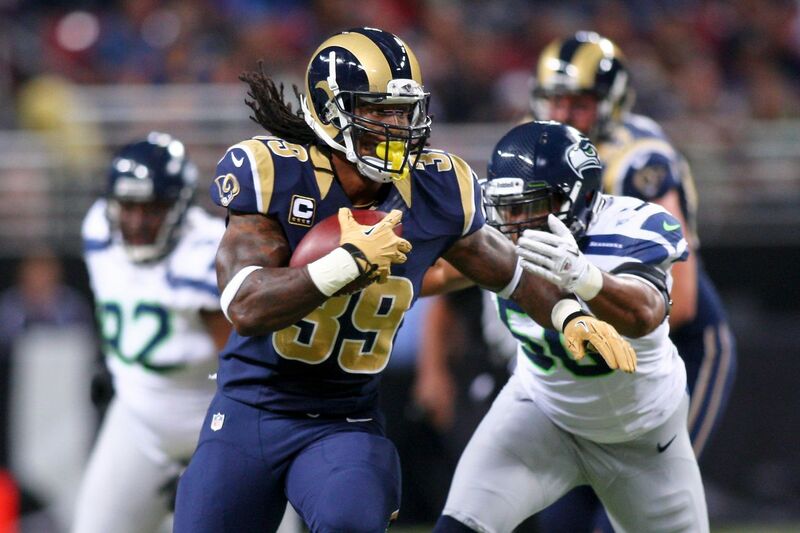 In the 2004 NFL draft, Steven Jackson was the first running back selected, going 24th overall to the St. Louis Rams. He was selected as the heir apparent to Rams great Marshall Faulk, and struggled early to accept his role as understudy. His outspoken nature caused some people to see him the wrong way, but as he told Sports Illustrated in 2007, it was just a matter of wanting to do his part. He finished his rookie season with 643 yards and 4 touchdowns, and 19 receptions for 189 yards. It had become clear that Faulk was nearing the end of his career, so just one month after the end of the season the Rams announced the second-year back would assume the starting role. Steven was also making moves in another area of his life. He founded the Steven Jackson Foundation for Literacy and Education, an organization started to help give youngsters educational opportunities, and reduce the dropout rate in local high schools. Steven registered his first thousand-yard season of his young career in 2005, totaling 1,046 yards, but he still felt as though he hadn’t shown his true capabilities. Part of that was due to the fact his coach, Mike Martz, utilized predominantly spread formations, leaving little blocking for a runner to do much between the tackles. Martz left after the 2005 season, and the organization hired Vikings offensive coordinator Scott Linehan as his replacement. He had a reputation for building outstanding running attacks, including units that finished in the top five two out of his three years in Minnesota. Linehan stated from the beginning that Jackson would be the focal point of the offense, and would see his workload increase. The result was a coming out party for the newest star in the NFL. SJax had a breakout season in 2006, rushing for 1,583 yards, and catching 90 balls for 806 yards, both franchise records. He had established himself as one of the premier backs in the game, and a fantasy owner’s dream. The league and his fellow teammates took notice, voting him an All-Pro, Pro Bowler, and Rams MVP. The 2007 season saw SJ post his third-straight thousand-yard season, despite being limited to just 12 games due to injuries. In the 2008 offseason, Steven signed a mutli-year contract to remain with the Rams, solidifying himself as one of the top backs in the league. He has returned to form, and is poised to remain of the premier players in the game for years to come. He played in 12 games again during the 2008 season, but still managed to cross the 1,000-yard mark on the ground for the fourth straight season. He finished with 1,042 rushing yards and added 40 catches for 379 receiving yards, third on the team. He also scored eight touchdowns during the season and was well on his way to breaking Rams rushing records as he entered the second year of his new deal. SJ39 was also excelling off the gridiron. Prior to the 2009 season, Steven made his first foray into filmmaking when he released the web documentary “In the Life” a three-part look at his life and the path that led to him becoming one of the NFL’s brightest stars. The documentary drew rave reviews for its unprecedented depth and access to the personal life of a pro athlete. Following up on his interactive success, 2009 would go down as one of Steven’s best seasons yet on the field as well. In making his second Pro Bowl, SJ39 crossed the 1,000-yard barrier for the fifth straight year, breaking the team’s previous streak held by all-time great and Hall-of-Famer Eric Dickerson. Despite a herniated disc in his back that hindered him over the final six weeks of the season and forced him to miss the Pro Bowl, Steven rushed for a grand total of 1,416 yards in 2009 to win the NFC rushing title. He finished second in the NFL in yards on the ground. In addition, No. 39 continued to be a valuable threat to catch the ball out of the backfield as he hauled in a team-high 51 balls for 322 yards. 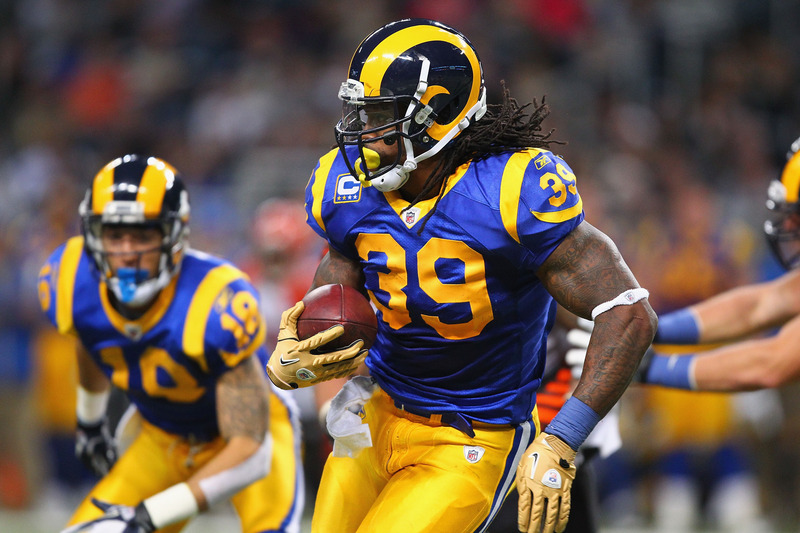 Following the season, SJ39 underwent surgery to repair the back injury and he entered the 2010 season revitalized, ready to take the Rams back into playoff contention. He did just that, eclipsing 1,000 yards on the ground for a sixth straight season, a mark reached by just 10 other running backs in NFL history. With his sustained success and the durability and strength to play in all 16 games, came another Pro Bowl berth, the third of the young running back’s career. But the mark that Steven was most proud of fell on October 24th in Tampa Bay. 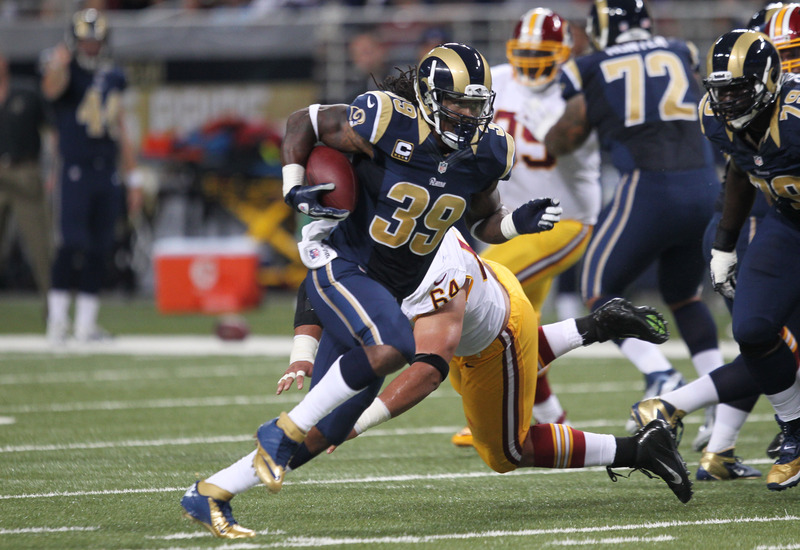 On a three-yard run off right guard in the second quarter of a game against the Buccaneers, SJ39 passed Dickerson to move into first on the Rams career rushing list with 7,248 yards. During the final week of the 2010 season, Steven made another move that sent waves over the web, releasing another documentary “In the Life” series, this time documenting his recovery from the end of one game to the start of another. The documentary was filmed over the seven days between a Week 10 game with the San Francisco 49ers and a Week 11 game with the Atlanta Falcons. The film once again gave unprecedented access to SJ39, including never before seen details about his recovery and rehabilitation, his relationships with teammates and coaches, moments with family, and more. The documentary series earned a Webby nomination for Best Online Sports video competing with ESPN, the Los Angeles Times, Major League Baseball and the Onion in the category. While Steven was finding individual success, he was also helping his team visit the win column with renewed consistency. After winning just one game in 2009, the Rams picked up six on that number in 2010, winning seven games. They entered the final week of the season 7-8 with a chance at the NFC West title. Though they lost their season finale showdown with Seattle, hope sprung from defeat for St. Louis. What once seemed years away was suddenly attainable, and with Steven leading the way, the Rams were back in the hunt for the NFC West title and a playoff berth. The Rams entered the 2011 season confident in what the franchise had built and within reach of the success that each of them yearn for. While the Rams were on the rise, so were No. 39’s off the field pursuits. In the offseason, SJ39 was named one of the “Vegas Dozen” for his charitable efforts in his hometown of Las Vegas and for his on field pursuits he was selected to the Southern Nevada Sports Hall of Fame. In addition, Steven was featured in ESPN the Magazine’s third annual Body Issue, the only NFL player to receive the unique distinction.